What happens now that we have a Climate Denier as President of the wealthiest and most powerful nation on Earth? The situation is bleak and the future is dark. However, while a Trump presidency is indeed devastating for the climate and the environment, there is a bulwark in place that may help to offset his policy agenda. Driven by opportunities in cleantech, companies, investors, states and cities will continue their push forward. It is easy to understand why so many are disheartened. A science-based review of what needs to be done to tackle climate change suggests that a Trump presidency will push us past tipping points from which we may not be able to recover. Trump will be able to leverage the Republican's control both the House and Senate. Trump's victory has done far more than undermine environmental concerns. Trump's stated positions on the economy and the defense of America's allies are deeply troubling as is his agenda for the economy. Economists are predicting a deep and prolonged recession, to illustrate the point the Dow futures dropped 7,000 points after Trump's victory. Another recession will further compound the problem of tackling climate change and other environmental issues. Of course a Trump presidency will also kill regulations designed to help address the climate issue and protect the environment. According to Lux Research under two terms of Trump, US carbon emissions will add 3.4 billion tons of CO2 to the atmosphere (16 percent increase) more than they would have been had Hillary Clinton won the election. Those of us who advocate for environmental protections and climate action are forced to concede that we have witnessed a stunning and perhaps irreversible setback. Even with the Paris Climate Agreement, that Trump has vowed to kill, more still needed to be done. We can now be sure that climate action and environmental protections will be under assault for at least the next four years. Trump can be expected to begin dismantling the Clean Power Plan, the Interior Department’s fracking rule, public lands leasing for drilling, the Dakota Access Pipeline, Arctic drilling, Atlantic drilling and others. Trump has named Republican energy lobbyist Mike McKenna to head the Department of Energy. McKenna has been a lobbyist for Koch Companies Public Sector LLC, Southern Company Services, Dow Chemical Co. and Competitive Power Ventures Inc. The fact that Trump has named climate skeptic Myron Ebell to lead the EPA indicates that agency's efforts to curtail emissions and protect the environment will come to an end. Ebell has called climate change science "alarmism" so it should come as no surprise that he opposes the Paris Agreement. Efforts are already underway to challenge the EPA’s Waters of the United States rule, which would expand the agency’s regulatory authority under the Clean Water Act. “Businesses should expect a more lax regulations on energy consumption and energy efficiency, and fewer incentives for renewables and other alternatives,” Lux Research analyst Yuan-Sheng Yu told Environmental Leader. “Trump’s pledge to promote more oil and gas exploration could help keep down prices, though as long as global oil prices stay low the actual amount of additional production in the US may be modest — despite Trump’s enthusiasm for coal, it will likely remain disadvantaged, particularly if his openness to fracking keeps gas prices low. Although climate action will no longer be forthcoming from the federal government, some corporations, states, cities, advocacy groups and private citizens can be expected to keep trying to advance climate action. As Yu explained, consumer-facing businesses and large multi-nationals will continue moving forward with their own carbon targets and adopting renewables and energy-efficiency programs in their operations. “Large companies are still likely to continue pursuing their own renewable and energy-oriented businesses with global markets in mind, and as costs of these solutions come down they will be used here as well, though the US will lag in adoption (and overall emissions will likely rise),” Yu said. Attorney Chris Carr, who chairs global law firm Morrison & Foerster’s environmental and energy group, says energy sourcing in the US will probably not change under Trump’s leadership. "States will continue to drive renewables growth with RPS, direct access, and net metering, a trend California has led for many years," Carr told Environmental Leader. 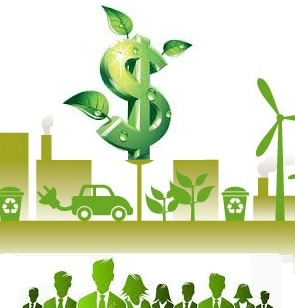 "Corporate sourcing of clean and renewable energy will continue to grow. Gas will still be a critical ‘bridge’ fuel, as contemplated by the Clean Power Plan, regardless of what the Supreme Court does when the suit now before the DC Circuit reaches it. The shale revolution will continue to make the US a gas exporter and provide cheap electricity generation domestically; indeed, decommissioning of nuclear plants will only increase the need for gas generation." "This directional continuity on energy and climate will be reinforced by business and investment opportunities, public and consumer demand, and shareholder activism around climate risk," Carr said. "When battery storage is installed at scale for electricity generated by rooftop solar in commercial buildings in Orange County, California, a tipping point has been reached. That happened two years ago." Although Trump has vowed to kill the Paris Agreement, Grist quotes Ségolène Royal, outgoing president of the U.N. climate forum and France’s environment minister, as saying, "Trump cannot prevent the implementation" of the Paris Agreement, according to the agreement the US willl have to wait at least three years before formally seeking to withdraw from the accord. Mariana Panuncio-Feldman, senior director of international climate cooperation at World Wildlife Fund pointed out that climate action will still continue around the world: "Businesses are not waiting to invest in low-carbon development. Countries are not waiting to change their regulatory frameworks to make their own economies more competitive." Other nations including China can be expected continue their efforts to fight climate change and Alden Meyer of the Union of Concerned Scientists said that action will still happen in the United States, too: "Progress will continue to be made at the sub-national level in the U.S. — by states, by cities, by businesses across the country. … The drive to de-carbonize the U.S. economy will continue regardless of what a President Trump does." President Obama has taken steps to protect the Paris Agreement from a Republican president. As explained by Thomas Hale, a professor of public policy at Oxford, argues in a piece at Climate Home that the "clever drafting" of the Paris Agreement will limit the damage that Trump can do to it, and notes that in four years, "a new President could instantly re-ratify the Agreement after he or she comes into office."